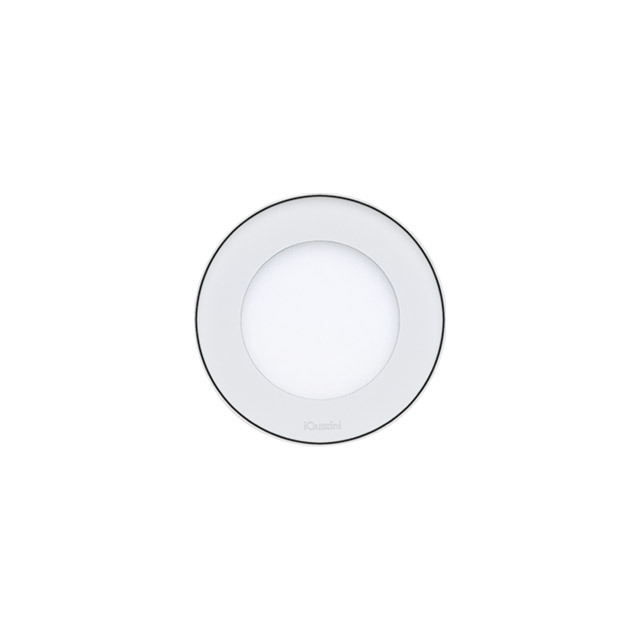 Wall/floor-recessed luminaire for use with LEDs for accent/signalling light. Made of extra-clear sodium-calcium glass, with no visible screws, and with diffused light; the stainless steel lower ring is connected to the tempered diffusing glass. The entire structure is supported by 4 fastening components made of AISI 304 machined stainless steel. The body of the luminaire is made of highly resistant thermoplastic material. It has a M14x1 A2 stainless steel cable clamp, and PG11 for the 130 mm large version; and a 300 mm-long exit cable; the stainless steel upper collar is flush with surface and secured to the casing. The fitting has a die-cast aluminium barrel casing or a cylindrical casing made of plastic polypropylene material. Static load resistance 500/1000 Kg.